If you feel that metal braces don’t suit your self-image, removable clear aligner trays will definitely fit your needs. It is very difficult to tell that someone with clear aligners is even wearing them! In protecting metal wires and braces, certain dietary adjustments are required. With clear aligners, you can still bite into an apple and have your steak! Clear aligners are soft, flexible material and will not irritate the soft tissues of the mouth like metal wires and braces sometimes do. If you have a habit of grinding your teeth at night, clear aligners can serve as thin night guards that will shield your teeth from undue wear. The cost of clear aligners may sometimes be a little more than the traditional braces. This may not always be true depending on the extent or length of the treatment. Clear aligners may not be right for you depending on the complexity of your malocclusion. Your orthodontist can tell you if clear aligners can fix your malocclusion. As convenient as it is to wear the aligners, they can also be forgotten to be used! In particular, younger patients may find it easier to place them in their pockets instead of on their teeth. Unlike braces, the orthodontist must be confident that constant required pressure will be applied to the teeth by continuous wear in order to have successful treatment. 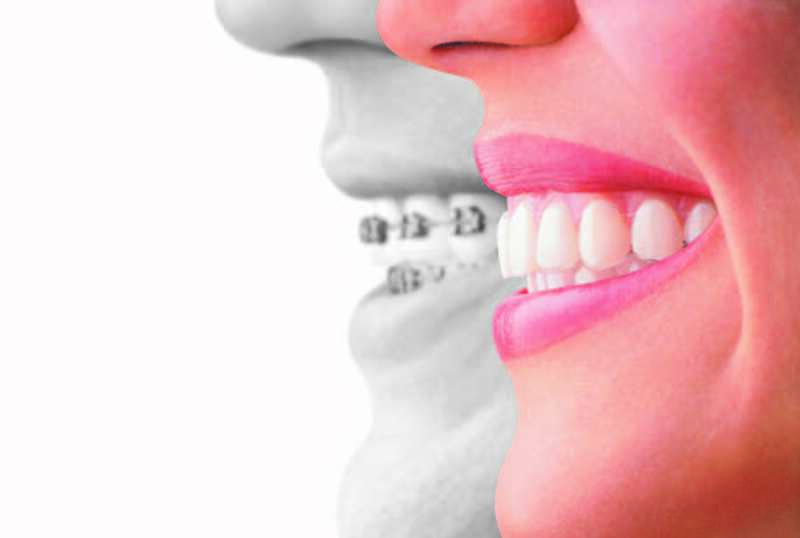 Therefore patient compliance is essential with aligners to get the expected results!